SPRINGDALE — On the border of Zion National Park sits the Cliffrose Lodge & Gardens, an ever-developing property of villas, suites and rooms in a haven of plush expansive grounds and gardens; it’s a place a national park bum and hippy once only dreamed of – a place where guests can sit on a beach, hold meetings and teach or just step outside to gaze at towering red rocks high above reach. The Cliffrose Lodge & Gardens offers guests more; more than a vacation, more than the average bear’s national park crash pad, more of a destination experience all in its own right, simply unaffectedly more. 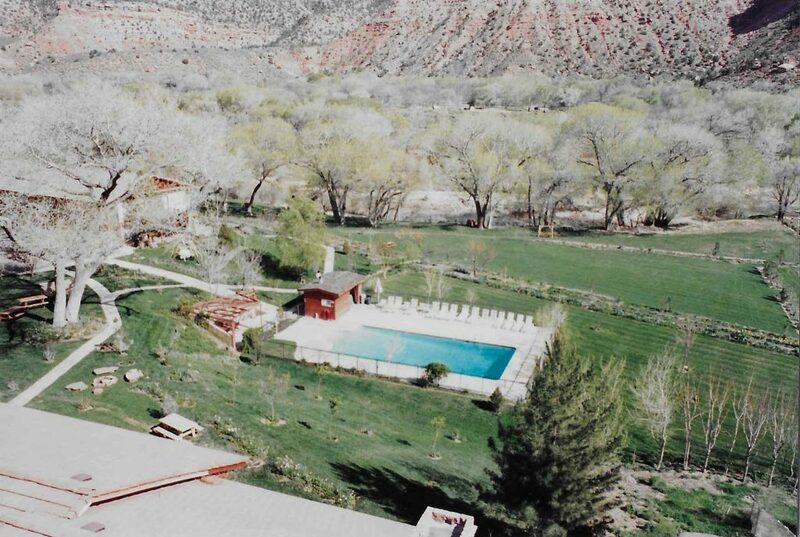 The experience awaiting guests of Cliffrose Lodge & Gardens today was once only a vision of its founder Dale Dockstader – a hippy, a national park bum, a guy who dreamed of building a hotel on the edge of Zion. He died in 2012 but not before his dream became a reality, one that continues to unfold today under the direction of his son Breck Dockstader. Dale Dockstader grew up the son of a single mother. Their family never had much money but what Dale Dockstader did have was an affinity and love for the outdoors. After high school graduation, he attended college classes but kept returning to Springdale and Zion Canyon instead of finishing classes, Breck Dockstader said. The more time his dad spent in the little town outside the park, the more he envisioned his hotel. 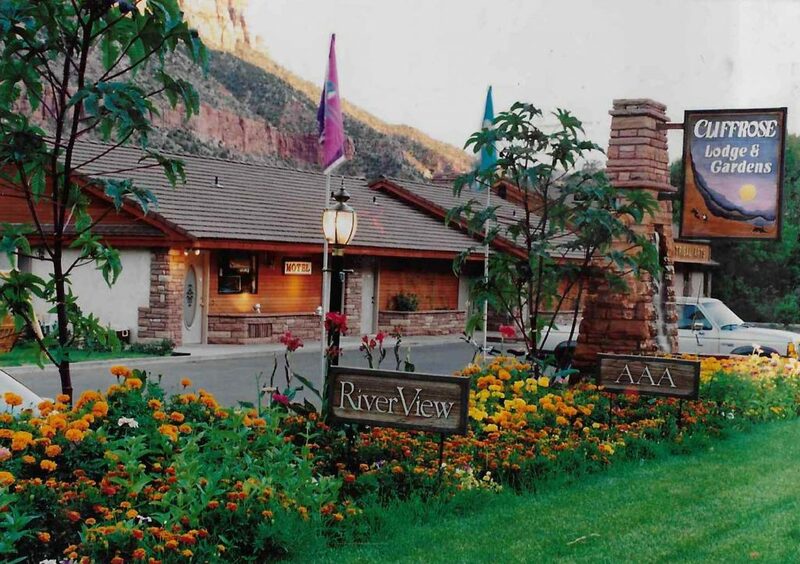 Over time (my dad) decided that there was something missing from Springdale and that was a really good place to stay while enjoying Springdale and Zion. So he thought ‘I would really love to build a hotel but what is the best way to do this, I am a broke hippy, I have no way to pull this off.’ So (my dad) decided that he would go into real estate with the one goal of putting enough deals together to acquire some land in Springdale to build a hotel. Dale Dockstader was successful in his real estate endeavors and in the mid-1980s acquired land in Springdale where Cliffrose Lodge & Gardens sits today. “We joke that my dad was the only guy who got a million dollar loan in pink Patagonia shorts and flip-flops,” Breck Dockstader said. The lodge opened in 1988 with 23 rooms built around botanical gardens. In 1991 a second building was added. 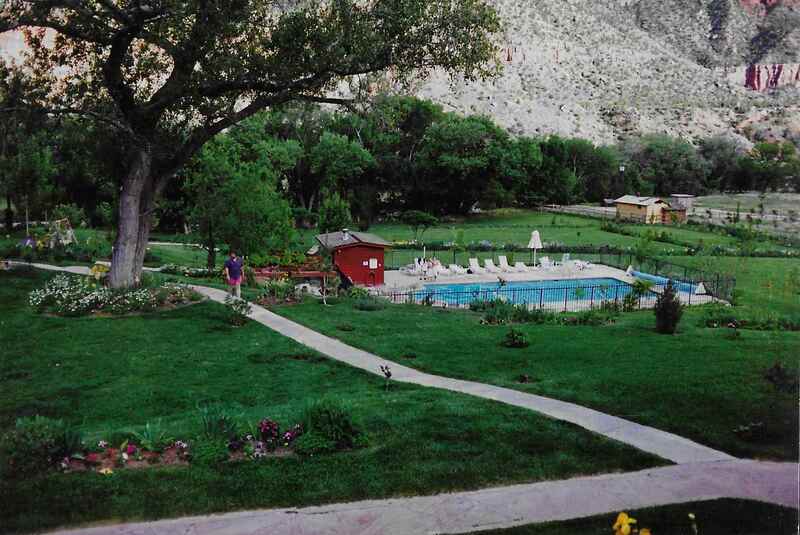 The grounds of the Cliffrose Lodge & Gardens remained the same until 2000 when the property underwent another expansion. Then in 2009 and 2014, two more expansions followed and, Breck Dockstader said, things continued to improve to what guests are enjoying today. Breck Dockstader is firmly rooted in the community and the dream. 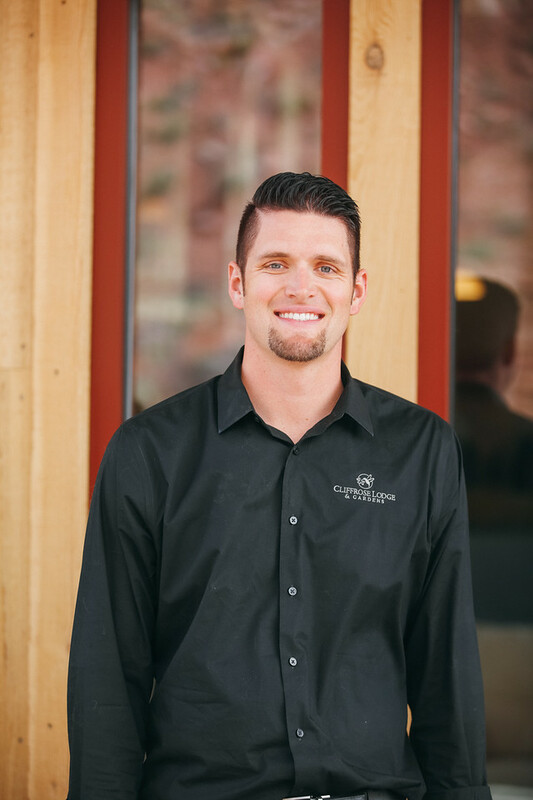 Besides developing and operating Cliffrose Lodge, he has built and opened the Springdale Visitor Center, 1 mile from Zion National Park’s south entrance; high-end luxury villas; and the Bistro H, a new restaurant adjacent to the lodge, featuring Chef Scott Lewis. Many of the projects were his father’s ideas, Breck Dockstader said. One of the biggest dreams for Dale Dockstader was to reach the coveted goal of achieving AAA’s four-diamond status on its one-to-five diamond rating scale for restaurants and hotels. Cliffrose Lodge & Gardens reaches that goal, Breck Dockstader said, with a large conversion underway that will make it a four-diamond hotel in Spring 2018. The lodge also enjoys a 4.5 out of 5-star ratings on both Yelp and Tripadvisor travel and consumer-review websites. One of the most common misconceptions that people have, BreckDockstader said, is that Springdale and Zion National Park cannot be visited all year long. But that is simply not true. Springdale and Zion Canyon enjoy similar weather to St. George and can be enjoyed in every season. Zion is especially lovely November through March with generally mild temperatures during winter and early spring and the bonus of smaller crowds. “As a local, that is when I hike,” he said of what is sometimes called the park’s shoulder season. There are a few days in winter when the area gets snow but it usually melts quickly. Those lucky enough to see the canyon in the snow find it absolutely stunning, Breck Dockstader said. The property’s amazing amenitites include a heated outdoor pool, waterfall hot tub, riverside hot tubs, riverside beach, event space and 5 acres of manicured grounds. Guests may choose rooms, suites or villas, all with modern amenities, complimentary parking, coffee, tea, wireless internet and 24/7 access to the Lodge’s business center. And then there are the views. Cliffrose Lodge’s private patios, balconies and every step outside every door offers captivating views of the towering and surrounding red cliffs that Zion is renown for. A stay at the lodge is, simply, an enriching Zion experience in its own right. Those who come to see the national park only need make a quick hop and a jump from the lodge to the park’s south entrance to get as much of Zion National Park as they like. To book an experience at the Cliffrose Lodge & Gardens, visit the Lodge’s website or call telephone 800-243-8824. Cliffrose Lodge & Gardens | Address: 281 Zion Park Blvd., Springdale | Telephone: 800-243-8824 | Website. Sponsored content may be submitted to or developed by St. George News for publication on behalf of the sponsor and in the sponsor's interest. It may include promotional pieces, features, announcements, news releases and advertisements. Opinions expressed in sponsored content are those of the sponsor and not representative of St. George News. Sponsors have no influence over St. George News reporting and product apart from their own sponsored content. I’ve always liked Cliffrose but I can’t afford the new $500+ a night rates . I guess I’ll have to live off the memories of the previous Cliffrose . The Hippy in the title is not the person in the cover picture, that is his son. 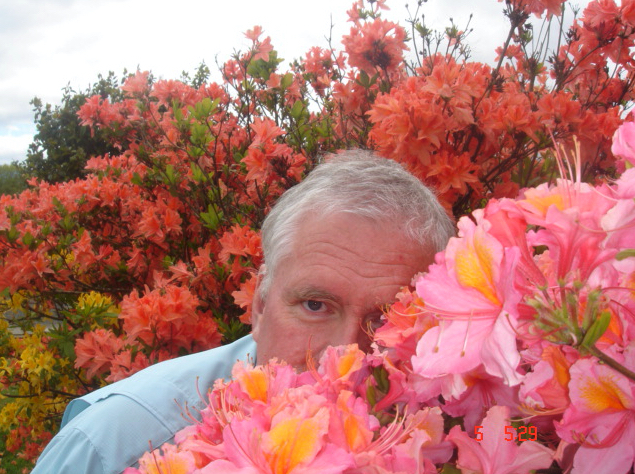 The real hippy is the one below hiding in the shadows of the bushes / flowers. Prices too steep though to stay there…nice place though.